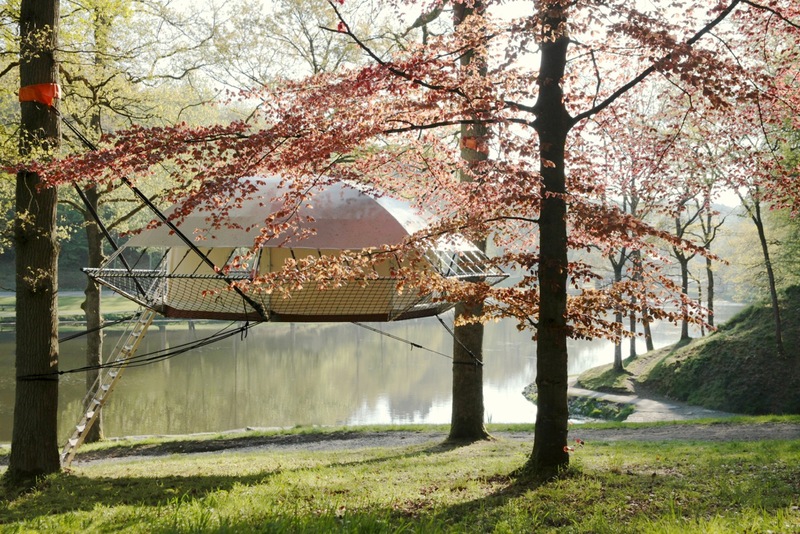 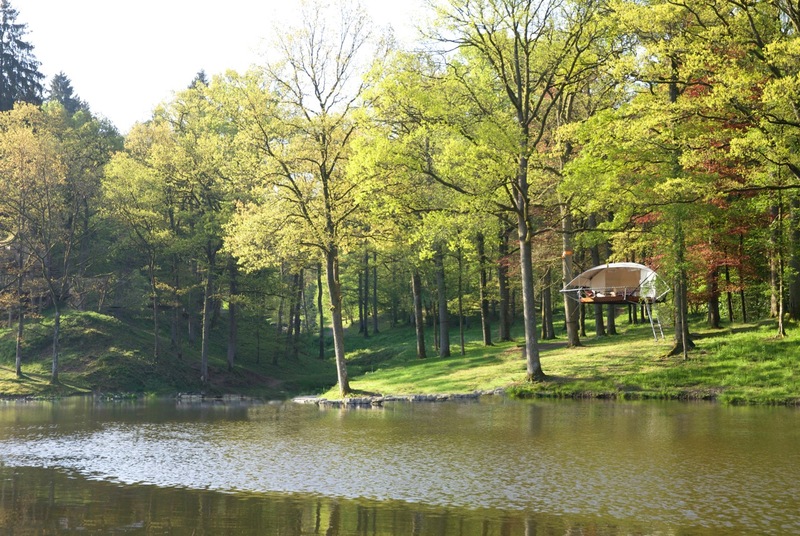 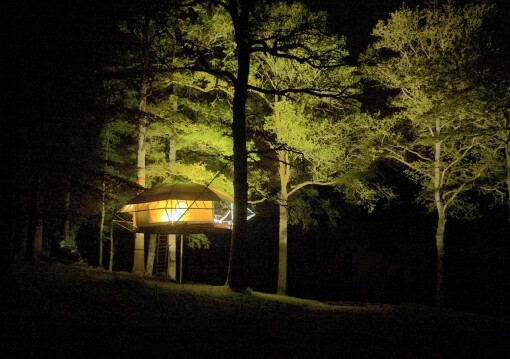 Emerged from the collaboration of a small group of arborists, architects, biologists and engineers from Belgium, this treehouse seems to hover between the trees like a little ufo. 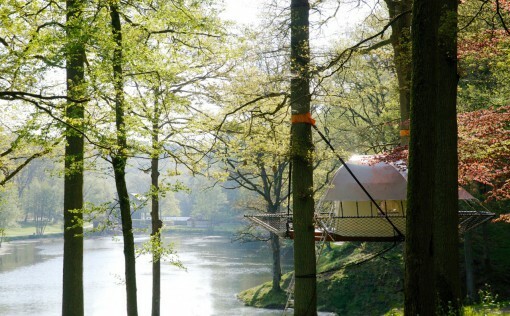 All you need is at least two trees to put up the construction made of galvanized steel tubes. 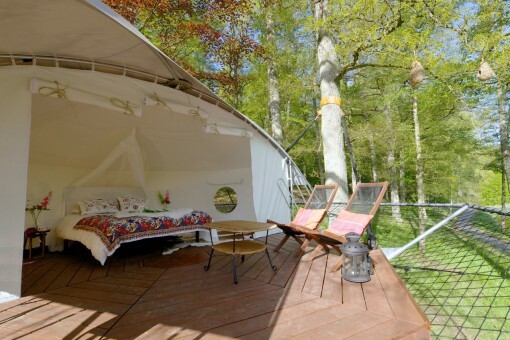 Weatherproof canvas spreads over the 170 square feet living space with a wooden floor. Designed for the summer it is raised in just two days (or dismounted, if it’s too chilly after all). 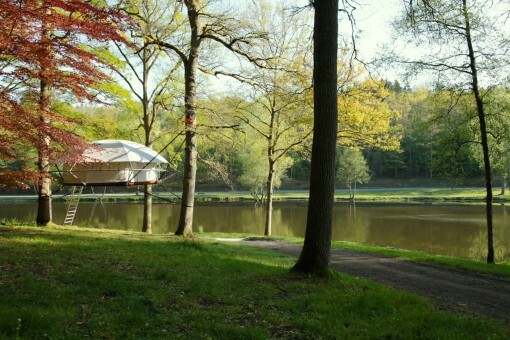 I imagine to be on a far hike, my carriers always ahead to scout for a nice place to spend the night. 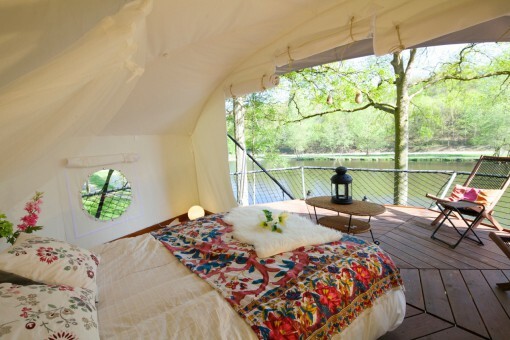 When I arrive, the campfire is burning and my bed in the trees is waiting. After a good meal I turn some pages of my book in the light of my lantern and then fall asleep to the sounds of the woods. Twittering birds get me up the next morning and I enjoy the view over the foggy lake. 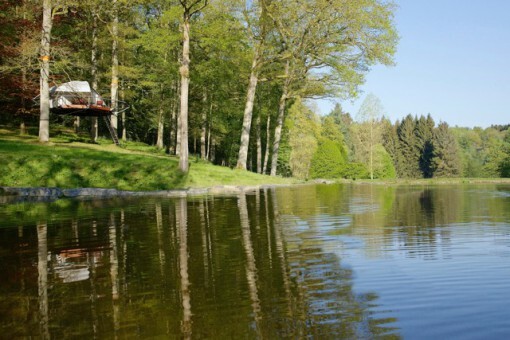 I climb down, take a refreshing swim in the lake and savor my coffee in the first rays of sunlight. 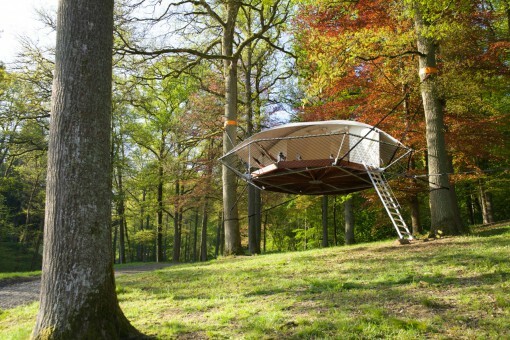 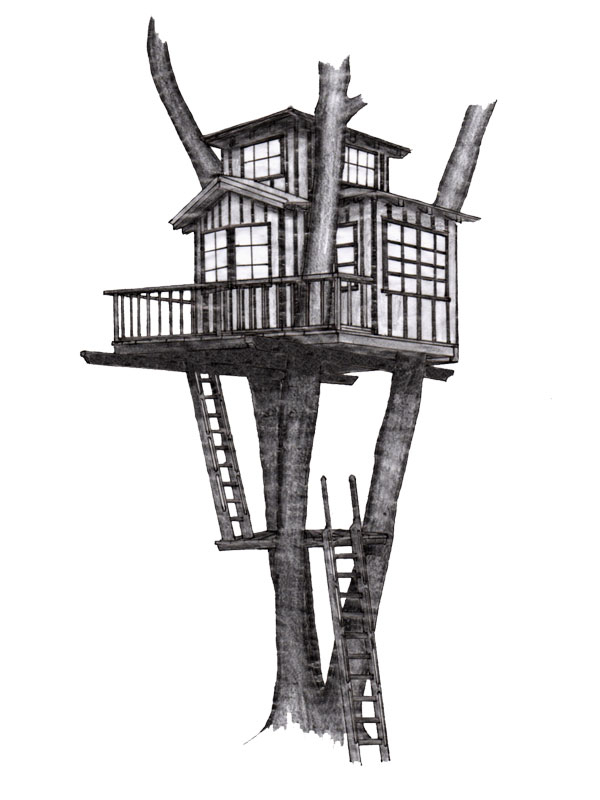 Well, I think I need carriers, some time and this mobile treehouse! More information on the site of Bruno de Grunne and Nicolas d’Ursel Trees and People.